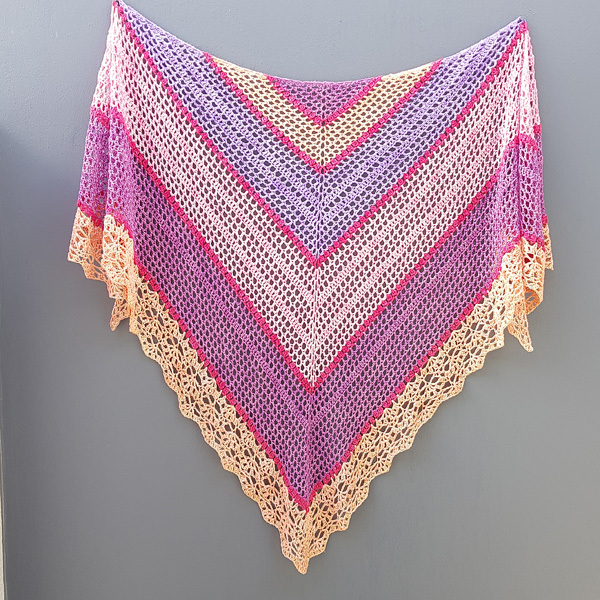 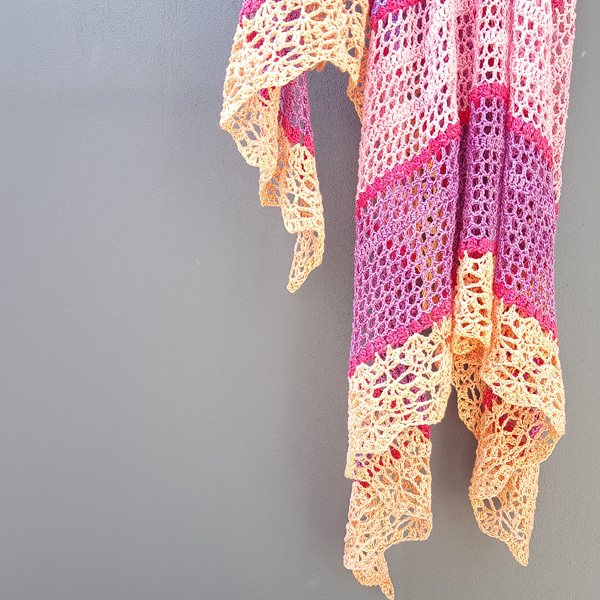 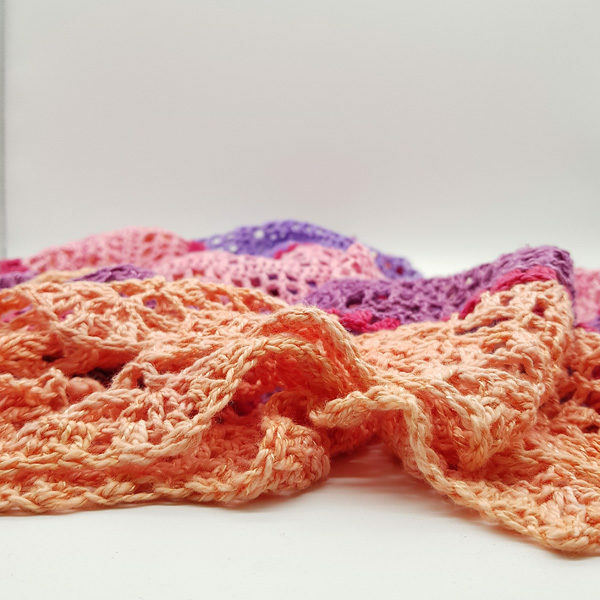 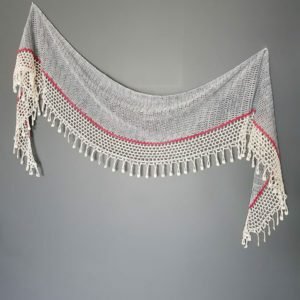 Symphony is a fun, light shawl, perfect for slightly chilly nights. 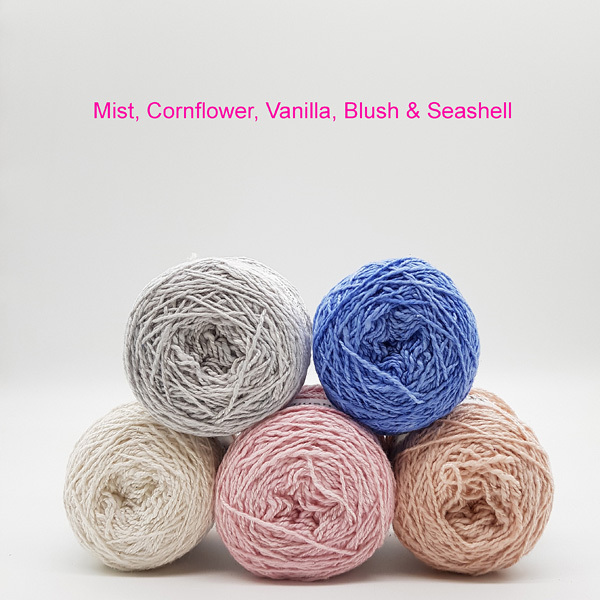 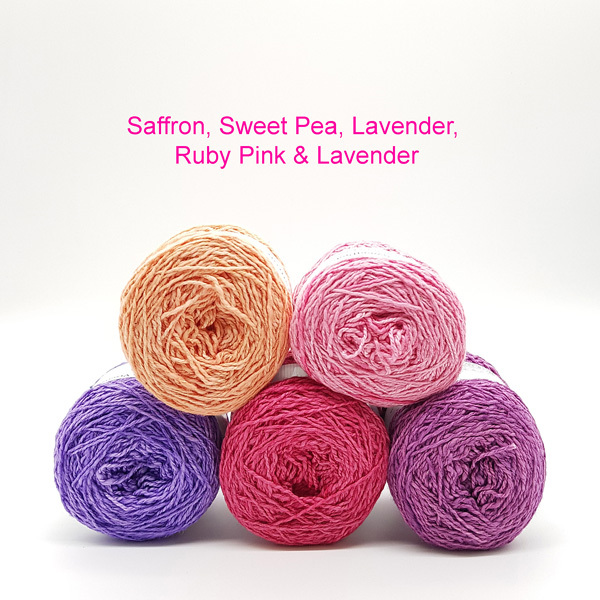 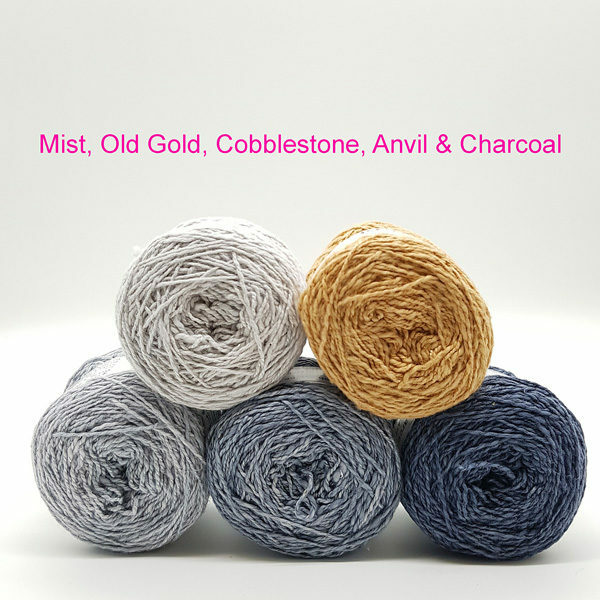 It is made with Eco-Lush, the luxurious new bamboo/cotton blend from Nurturing Fibres. 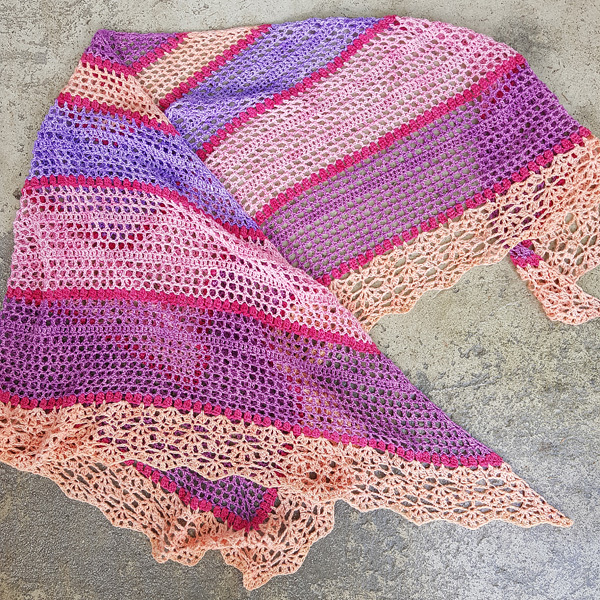 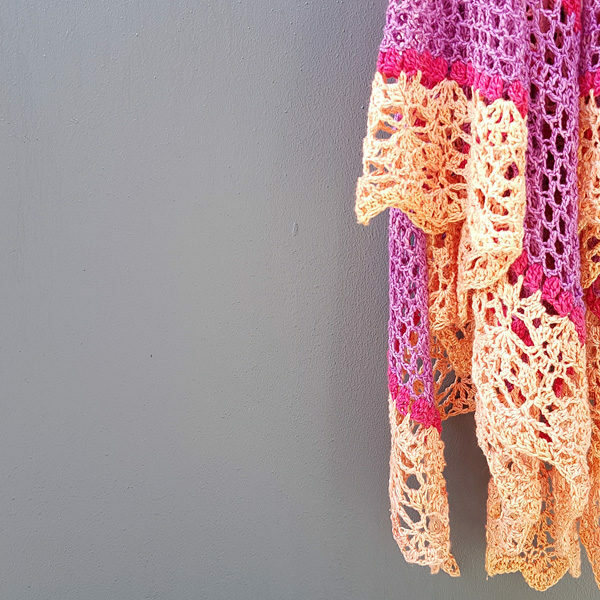 The shawl itself is very easy to make and can easily be adjusted to a bigger or smaller size. 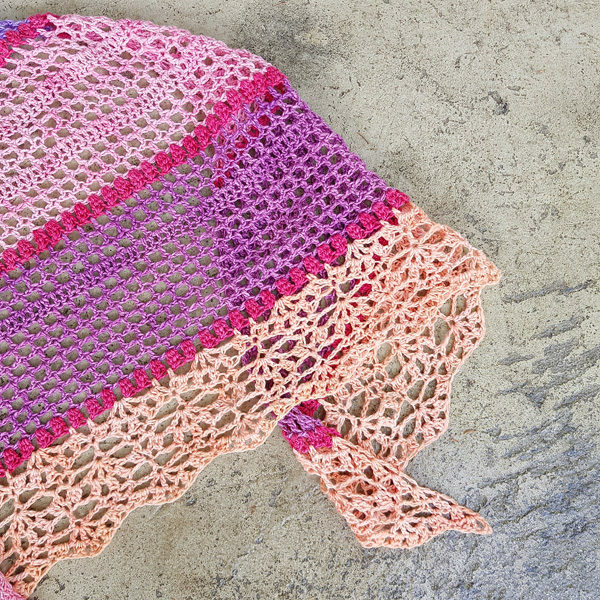 The border is a bit more challenging, but even advanced beginners would be able to master it. 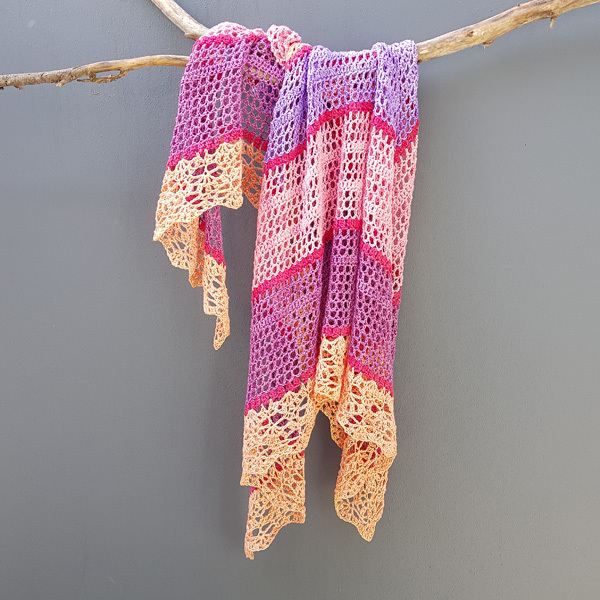 The pattern is available in both UK & US terminology and the kit includes both versions.